#BuyersGuide: Why is my sofa so expensive? Today’s furniture buying experience is much like buying a new car. You may want to find the best deal on a car regardless the brand, or you know you want the top of the line, so you expect to spend more money. We all know that the top of the line vehicle is going to have the best construction, highest safety ratings, and longer warranty. However, we seemed to be blinded by furniture quality. That being said, all furniture is not made equally. The sofa you find at Target for $399 is not going to be the same quality as the sofa at a fine furniture store for $3000. There is a reason why a sofa is priced so high, and we would like to explain and justify that difference today. 1. A top of the line sofa starts with a solid hard wood like walnut, maple, or oak. Then, the wood is Kiln dried, which eliminates all of the excess moisture in the wood, resulting in a strong product that will not bow or bend over time. 2. That wood is then doubled doweled and glued to each other to create stability and a structurally sound product. 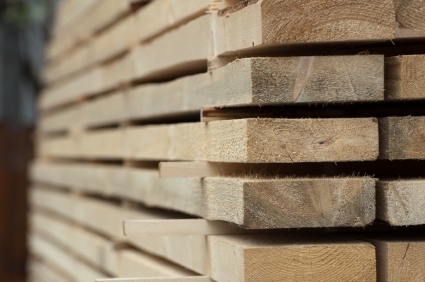 In some cases, the wood is cut to interlock with each other, then it is glued together. Corner blocks are triple reinforced with staples, glue and screws to create strong joints that will not loosen over time. 3. There are several different types of spring units that could be added to a frame, but an 8-way hand tied spring system is by far the strongest, most resilient type of support. High gauge spring coil units are dropped into the frame, then hand tied with twine 8 different directions to themselves and to the frame. This creates a unit that distributes weight evenly and keeps the coils from shifting, which eliminates sagging in the frame. 4. The next step in creating a strong piece of furniture includes the added foam for frame protection and comfort. In a high quality frame, there is a strong molded foam lining the edges of the piece to create a sharp look and reduce the risk of the foam breaking down. Then layers of polyester foam will wrap around the frame. Your fabric is then backed and added to the top layer. Most high end manufactures will have a variety of cushions to choose based on comfort and quality. In brands like Wesley Hall and Taylor King, a high end cushion consists of a molded polyester foam, encased spring coils, memory foam, and/or blend down fill. All of these options have been carefully thought out to make sure the lifetime of your cushion outlasts the competitors. Not only can you customize your cushions, but you have the choice of hundreds of different high end fabrics to fit your personal style and lifestyle. These are just a few of the reasons why a sofa can be so expensive. But, we believe that investing on an heirloom quality piece will pay for itself in the long run. When buying a sofa based on the price, you may find yourself replacing the sofa every couple of years due to its quality. So, the next time you are in the store and have a little sticker shock, ask your salesperson to explain to you the quality difference and you will understand why we take pride in well thought out pieces that will last a lifetime. Have any questions about this week’s post? Let us know in the comments below and make sure to visit us on Facebook! This entry was posted in Buyers Guide and tagged buying furniture, decor, interior design, quality, sofa, turner's albany, turner's fine furniture, turner's furniture, turner's tallahassee, turner's thomasville, turner's tifton, turners valdosta on April 26, 2016 by Staci Wright. Our $5,000 grand prize winner for July was Kay Wood from Moultrie. She registered to win at Turner’s Budget Furniture in Moultrie and selected Hope House Pregnancy Care Center to receive the $5,000 matching donation from Turner’s. Hope House is located in Moultrie and offers free pregnancy testing, parenting classes, bible studies and baby items along with adoption resources and abortion education/alternatives. In addition, they also provide a Stand for Life Scholarship to students entering their senior year of high school. Katrina Bivins, executive director of Hope House, said the $5,000 donation couldn’t have come at a better time. They are currently raising funds for a new crisis pregnancy center. To learn more about Hope House, click here. The recipient of the $1,000 Turner’s gift certificate was Mike Johnson. He registered to win at Turner’s Fine Furniture in Thomasville and selected Big Bend Hospice to receive the matching cash donation from Turner’s. We also had a couple of $500 winners from Albany and Valdosta. Receiving $500 donations were the Alzheimer’s Association of South Georgia and the American Cancer Society where funds will be distributed back into the local communities. Below is a full list of winners. Congratulations to all and thank you for participating in our $100,000 Anniversary Drawing! To learn more about how you can win a share of $100,000 in free furniture AND donate to a local charity, click here. $250 Justin Kinsley Tallahassee – Turner’s Budget Furniture Be the Solution, Inc.
Fortson Turner and Austin Turner with $1,000 charity recipient Big Bend Hospice. Austin Turner, Katrina Bivins, executive director of Hope House, Kay Wood , $5000 gift certificate winner & John Eunice, Moultrie store manager. This entry was posted in 100 Year Anniversary and tagged Big Bend Hospice, Hope House Moultrie, Hope House Pregnancy Care Center, turner furniture, turner's budget furniture, turner's fine furniture, turner's furniture, turner's furniture giveaway, turner's furniture moultrie, turners 100 year anniversary on August 25, 2015 by Staci Wright. The $5,000 winner in 100 Year anniversary drawing for June was Patricia Young. She registered to win at Turner’s Fine Furniture in Valdosta. She selected Georgia Sheriffs’ Boys Ranch to receive the $5,000 matching donation from Turner’s. The Georgia Sheriffs’ Youth Homes was established to give our state’s most at-risk children the love, safety, and stability needed to become mature, successful adults. The oldest facility is Georgia Sheriffs’ Boys Ranch located near Hahira in Lowndes County. It is the perfect setting for boys and girls to experience the outdoor life of South Georgia. Over four hundred acres and five cottages offer children plenty of room to grow into well-rounded, productive young adults. The Ranch has a long history of providing quality care for its children. Click here to learn more. Below is a list of our winners from June in the order they were drawn. To learn more about the Turner’s Furniture 100 Year Anniversary giveaway, just click here. Brenda Dozier, Turner’s Fine Furniture Albany manager and $1,000 free furniture gift certificate winner Angelyn Hammack. This entry was posted in 100 Year Anniversary and tagged Georgia Sheriffs' Boys Ranch, Megan's House, turner's budget furniture, turner's fine furniture, Turner's Fine Furniture Valdosta, turner's furniture on August 12, 2015 by Staci Wright. On Saturday, June 27th, Merry Acres Inn in Albany, Georgia unveiled their newly renovated “Rock House.” Now named Paula Deen’s Cottage, this 2 bedroom, 2 bathroom guest house features furniture from Turner’s Paula Deen Collection and was decorated by Bob Sleep from Turner’s Fine Furniture in Albany. Paula was on hand for the ribbon cutting and grand reveal. She was very pleased with the decor and said she can’t wait for guests to stay in the new cottage! As you enter the living room in Paula Deen’s Cottage, featured is a traditional skirted loveseat with coordinating high back chairs from the Paula Deen Home Collection. Also included is a pair of small, skirted ottomans that function as extra seating. The Paula Deen Down Home Collection is used in the bedrooms in a variety of dark, light and painted finishes. The collection captures the essence of comfortable and casual, and the natural character of poplar makes each of the pieces unique. The two bedrooms feature king beds and an upholstered swivel arm chair perfect for viewing the TV from any angle. Also in one bedroom is writing desk and chair. In addition to the large furniture pieces, various side tables and chests from the Paula Deen Home Collection are used. Autographed restaurant menus, Paula Deen dishes and original Paula Deen watercolor artwork complete the space and add the finishing touches of Southern charm that make the cottage feel like a home away from home. About the Paula Deen Collection: The Paula Deen Collection is designed in collaboration with Paula Deen to bring a classic, down-to-earth style into your home. This collection offers affordable, high quality, multi-functional pieces that can be mixed and matched to fit the way your family lives. The complete Paula Deen Collection can be found locally at Turner’s Fine Furniture, which is an exclusive retailer of the Paula Deen furniture line. There are four separate collections within the Paula Deen furniture line – Home, Down Home, River House, and the brand new Dogwood collection, which is scheduled to arrive on Turner’s showroom floors by Labor Day. All of the Paula Deen Home Collections can be found at Turner’s Fine Furniture and are available in multiple finishes including dark, light and painted pieces. Exterior of Paula Deen’s Cottage at Merry Acres Inn in Albany, Georgia. Living Room in Paula Deen’s Cottage at Merry Acres Inn. View into the Kitchen in Paula Deen’s Cottage at Merry Acres Inn. Another view of the kitchen in Paula Deen’s Cottage at Merry Acres Inn. Bedroom in Paula Deen’s Cottage at Merry Acres Inn. Second Bedroom in Paula Deen’s Cottage at Merry Acres Inn. Autographed restaurant menus and original Paula Deen watercolor artwork. The cottage is also complete with dishes from Paula Deen’s line. Want to whip up a yummy Paula Deen recipe during your stay at the cottage? Check out one of her cookbooks! Bob Sleep, designer with Turner’s Fine Furniture Albany, showing Aunt Peggy around the cottage. Paula Deen at the ribbon cutting and dedication of the new Paula Deen Cottage at Merry Acres Inn. Cast Iron Skillet adorning the exterior and welcoming guests to Paula Deen’s Cottage at Merry Acres Inn. This entry was posted in Uncategorized and tagged Merry Acres Inn, Merry Acres Inn Albany Georgia, Paula Deen, Paula Deen Albany, Paula Deen Cottage, Paula Deen Cottage at Merry Acres Inn, Paula Deen Dogwood, Paula Deen Down Home, Paula Deen Furniture, Paula Deen Home, Paula Deen Riverhouse, Paula Deen's Cottage, Paula's Cottage, turner's fine furniture, Turner's Fine Furniture Albany on July 3, 2015 by Staci Wright. The hot spot for the April drawing was the Thomasville/Tallahassee market! The $5,000 grand prize winner, Stephanie Dougherty (pictured left) registered to win at Turner’s Fine Furniture in Thomasville. She selected Thomasville-Thomas County Humane Society (also pictured left) to receive the matching $5,000 donation from Turner’s. We also had two $500 winners from Turner’s Budget Furniture in Thomasville and Turner’s Budget Furniture in Tallahassee. The $1,000 winner was from Turner’s Fine Furniture in Albany. To celebrate our 100 year anniversary, Turner’s is giving away $10,000 in free furniture each month through December 2015 AND donating $10,000 cash to qualified local charities. By the end of the year, we will have given away a total of $100,000 in free furniture and $100,00 cash to local charities. Winning amounts each month range from $100 to $5,000 and the winner is able to select a charity of their choice to receive a matching donation from Turner’s. Below is a list of our winners from April in the order they were drawn. To learn more about the Turner’s Furniture anniversary giveaway, just click here. L to R: Anchorage Board Member Tim Trulock, Stephanie Bankston, $1,000 Gift Certificate Winner, Austin Turner, Co-Owner, and Bob Lynch, executive director of the Anchorage & recipient of $1,000 charity donation. Sharon Cramer, $500 gift certificate winner & Austin Turner. This entry was posted in 100 Year Anniversary and tagged GA, The Anchorage, Thomasville-Thomas County Humane Society, turner's, turner's budget furniture, Turner's Budget Furniture Tallahassee, Turner's Budget Furniture Thomasville, turner's fine furniture, Turner's Fine Furniture Albany, Turner's Fine Furniture Thomasville, turner's furniture, turner's furniture giveaway, turners 100 year anniversary on May 25, 2015 by Staci Wright. The results are in! Congratulations to Patricia Gillean, the March winner of a $5,000 Turner Furniture gift certificate. She registered to win at Turner’s Budget Furniture in Valdosta. She wanted the $5,000 matching donation from Turner’s to go to a charity that helps people with Autism, so she selected Easter Seals Southern Georgia. Thanks again to everyone who participated. If you didn’t win in March, please come back in to one of our stores and register for the April drawing. Remember, each month is a new drawing, and we’ll be giving away $10,000 in free furniture and $10,000 cash to qualified local charities. For additional information about the giveaway, click here. Below is the list of winners from Turner Furniture’s March anniversary drawing (listed in order they were drawn). Austin Turner and Fortson Turner with $1,000 winners. This entry was posted in Uncategorized and tagged Big Bend Hospice, Easter Seals Southern Georgia, Lives Without Limits, turner furniture, turner's budget furniture, turner's fine furniture, turner's furniture, turner's furniture giveaway, turner's furniture moultrie, turner's furniture tifton, turners 100 year anniversary, turners furniture albany, turners furniture tallahassee, turners furniture thomasville, turners furniture valdosta on April 13, 2015 by Staci Wright. Turner Furniture started out as a hardware store in Pelham, Georgia in 1915. It began with M.W. Turner, Sr. and a business partner not related to the Turner family. However, in 1929 the partnership was dissolved and M.W. Turner and his son M.W. Turner, Jr. opened a new hardware store across the street as competitors. It was during World War II that Turner’s began selling furniture. In 1940, Turner’s opened a second location in Cairo which later moved to Bainbridge. By 1959, Turner’s expanded to Downtown Tifton. Shortly after, M.W. Turner, III (Wright Turner) joined the company as manager of the Tifton location, and his brother Scott went to Pelham. In 1971, Turner’s made a permanent stake in Tifton by purchasing its location on 2nd Street. Just five short years later, Turner’s Fine Furniture was built in Valdosta. In 1988, Fortson Turner continued the legacy by becoming the fourth generation to enter the family business. Austin Turner, also fourth generation, joined the company in Valdosta in 1990. Prior to 1990, Turner’s operated as Turner’s Fine Furniture offering top quality furniture at the lowest possible price. And even though we had the best prices on name brand furniture, the word “fine” in our name occasionally led to the perception of being the most expensive. In order to broaden our market and appeal to more people, we decided to open a store with a different format. This store would be a bare-bones, no frills operation with lower priced furniture from different manufacturers than found in Turner’s Fine Furniture. So in 1991, the first Turner’s Budget Furniture opened in Valdosta. The success of this store’s format led Turner’s to open Turner’s Budget Furniture locations in Tifton in 1996, Albany in 1999, Moultrie in 2000, Beachton in 2010 and Tallahassee in 2014. Turner’s first came onto the scene in Albany in 1993 with Turner’s Fine Furniture on Slappey Boulevard. Austin Turner began managing the Albany location in 1994. In 1998, Wright Turner decided it was time for his sons to take the reins. So, the fourth generation of ownership went to Fortson, Austin and Scott Turner. In 2006, Scott decided to pursue a career in real estate. Fortson and Austin retained ownership and are the faces you see on all Turner’s commercials today. The current Turner’s Fine Furniture and warehouse on Highway 82 in Leesburg was built in 2001. In 2003, the 60,000 square foot Distribution Center was built in Tifton to handle all delivery and warehouse operations. A major honor for the company came in 2009 when Turner’s was selected by Georgia Trend as Family Owned Business of the Year. Year after year, Turner Furniture remained strong and stable due to the support from each market we served. In 2010, it was time for Turner’s to grow and expand once again. So, Turner’s Fine Furniture and Turner’s Budget Furniture locations were built side by side in Beachton in order to serve South Georgia and North Florida. Upon receiving much support from the Tallahassee community, Turner’s expanded again in 2014 with the opening of Turner’s Budget Furniture on Apalachee Parkway in Tallahassee. Reflecting on 100 years in business, the Turner family is proud we’ve upheld the same values that the company was founded upon in 1915. Our reputation of offering the best quality furniture at the best price still stands today. We have also continued to carry on the tradition of offering exceptional customer service throughout all ten locations. To celebrate our 100 year anniversary, Turner’s is giving away $100,000 in free furniture and donating $100,000 to qualified local charities this year. “We are excited about this milestone anniversary, and we are looking forward to giving back to the community with the $100,000 free furniture giveaway and the $100,000 donation to local charities,” said Austin Turner. Monthly drawings will be held now through December 2015 with 28 individual winners each month. The winners will be given the opportunity to designate a local charity to receive a matching donation from Turner’s. Each month, $10,000 in free furniture will be given away to individuals and $10,000 in cash will be donated to local charities. To register to win, visit any Turner’s Furniture location. For more information, visit your nearest Turner’s Furniture or click here. Turner’s currently operates ten locations. Turner’s Fine Furniture is located Albany, Tifton, Valdosta and in between Tallahassee and Thomasville. Turner’s Budget Furniture locations serve Albany, Tifton, Valdosta, Moultrie, Thomasville and Tallahassee. Fortson Turner, 4th generation and current owner cutting ribbon at the grand opening of Turner’s Fine Furniture in Valdosta in 1976. Pictured L to R: Austin Turner (4th generation owner), Wright Turner (3rd generation), Scott R. Turner (3rd generation), Betsy Turner, Peggy Turner, Eunice Turner, M.W. Turner (2nd generation), Scott B. Turner (4th generation). This entry was posted in Uncategorized and tagged furniture albany, furniture tallahassee, furniture thomasville, furniture tifton, furniture valdosta, turner furniture, turner's budget furniture, turner's fine furniture, turner's furniture, turner's furniture giveaway, turner's furniture tifton, turners 100 year anniversary, turners furniture albany, turners furniture tallahassee, turners furniture thomasville, turners furniture valdosta on March 12, 2015 by Staci Wright. Recently, Turner’s supplied a Curations settee and bar stools for the set of Tift Regional Medical Center’s Tree Of Life video that was aired during their annual Tree of Life Ceremony. During the fundraiser, people purchased lights in honor or memory of friends and family. The money raised at this event is used to help with the special needs of people who are patients of Hospice of Tiftarea and the Anita Stewart Oncology Center at Tift Regional. Click here to watch the video. Courtesy of The Big Picture & Bird’s Eye Productions. This entry was posted in Uncategorized and tagged bar stools, Curations, furniture tifton, Settee, Tift Regional Medical Center, Tift Regional Medical Center Oncology, Tift Regional Medical Center Tree of Life, TRMC, turner's fine furniture, turner's fine furniture tifton, turner's furniture, turner's furniture tifton on December 31, 2014 by Staci Wright.